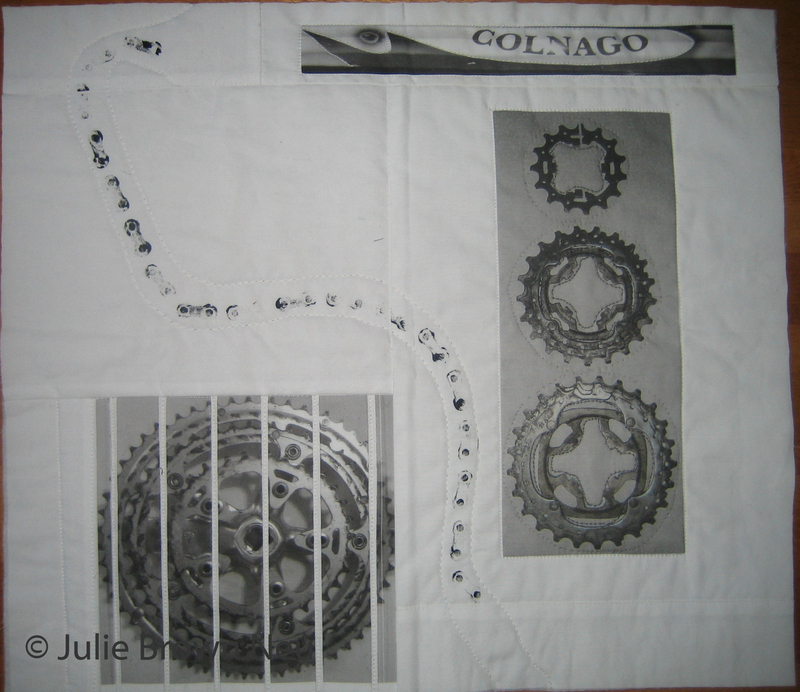 In honor of Father’s Day this week, I’m sharing a small art quilt I made for my husband in 2008, as a “Creative Play” project. It sat finished in my “UFO” drawer for years, but I am happy to say that it’s been hanging in his bike room now for a few years. I took photos of his beloved bike and some of the components and painted a new bike chain that my DH’s favorite bike shop owner very nicely gave me. I decided to slice up the chain ring picture on the bottom left because my printer was behaving badly and the photo was printing out with white lines down the middle of it. I gave up on the printer, took it as divine inspiration, and just cut on the lines.